Back in February 2014 Koei Tecmo released Toukiden: Age of Demons in the West and while it did have a few issues here and there, I found it to be an enjoyable title worthy of a sequel. 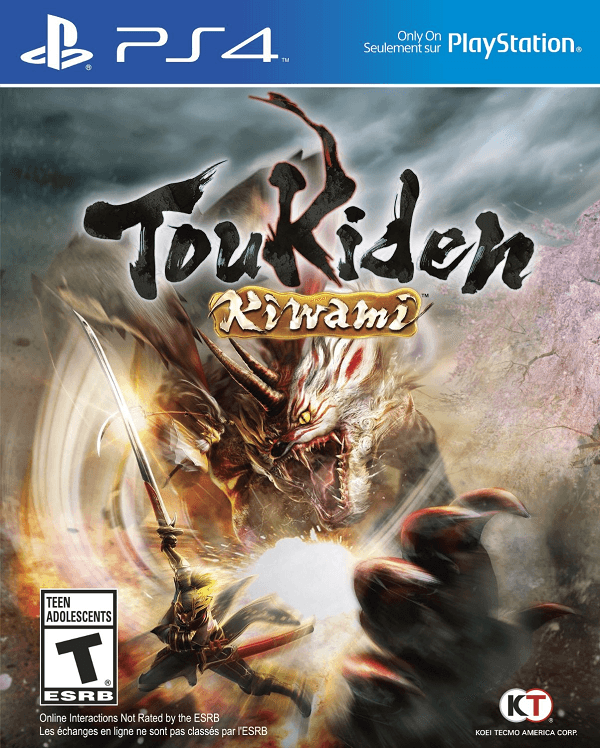 Now a little over a year later and we have not quite a sequel, but an expanded and enhanced release in the form of Toukiden: Kiwami. 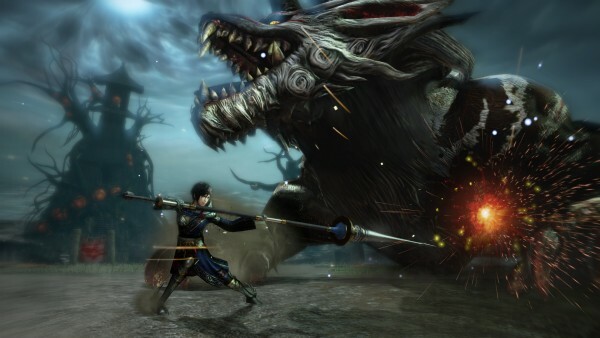 Filled with extra content and bumped up to the PlayStation 4 alongside the original’s release on the Vita, is Toukiden: Kiwami worth picking up? It is worth noting that Toukiden: Kiwami contains the entire campaign and storyline of the original Toukiden. This means that players who have either not played the original game, or chose not to import their save file from the Vita, will need to start from scratch before reaching the storyline events that begin in Kiwami starting at the eighth chapter. That being said, demons, or as they are called in Toukiden, Oni, are a constant threat to mankind. Humanity has been struggling against these powerful enemies and only the elite Slayers are capable of defeating these monsters and purifying the land. Players take the role of a fresh Slayer that is assigned to protect the small town of Utakata, one of the last bastions of defense for humanity that is right on the front lines. While the original story already did a surprisingly solid job of keeping the player engaged by providing their fellow Slayers backgrounds and quite a bit of development throughout the game as the story progressed. There were plenty of high and low moments but despite never taking becoming the central focus it was always intriguing and now that the story continues past its previous ending point, there is even more to enjoy. Toukiden: Kiwami starts three months after the previous events of the storyline and as the fight against the Oni grows more difficult, a number of forces from the North are driven back and forced to take refuge in Utakata Village. 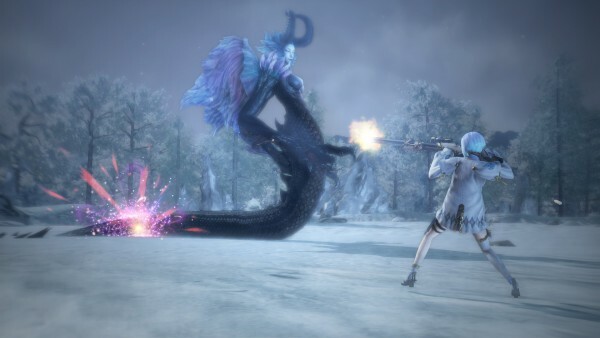 With the appearance of new forces, also comes a new threat worse than ever before and it is up to the player, their allies, and a number of new characters that are all given quite a bit of development, including a rather interesting woman wielding a firearm, to put down this threat, adding even more content to what is already an impressive offering. 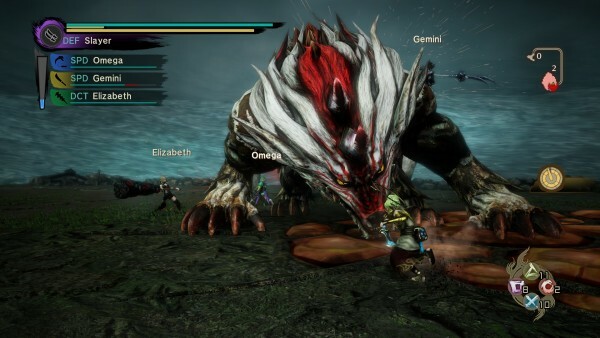 Now it is worth noting that the basics of combat remain the same in Toukiden: Kiwami as they did in the first game so I will not go into length in that regard, though you can read about it in my previous review here. As far as a base summary goes, players will still be using Utakata Village as a home base where they can interact with NPCs, purchase and forge new equipment, take on missions, and more before venturing into combat where they will need to eliminate numerous small Oni and tackle larger Oni by slicing off various limbs and purifying them. While most of the changes and enhancements can be found on the battlefield, Koei Tecmo has made sure to provide plenty of additional resources for players to take advantage of. 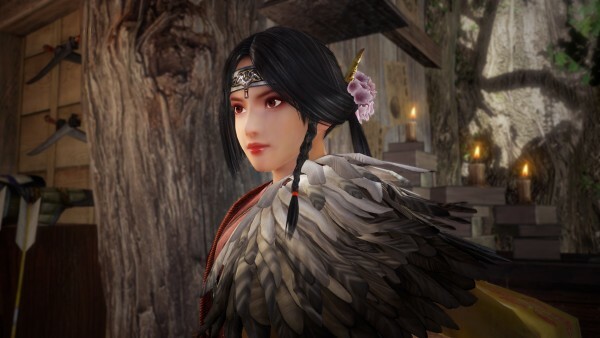 There are now even more Mitama (trapped souls of historical and mythological figures) to collect and equip to weapons to further customize their character for a certain opponent or to fit their playstyle as well as a number of new abilities that come with these additional Mitama. There are also plenty of new weapons and sets of armor to collect and craft, adding an additional challenge for those who want to try and have a complete set of everything. Now once you take the battlefield not only will you find that all of the previous weapons are still in the game, but they are now joined by a spiked club, a naginata, and a rifle. While the previous weapon types were fairly balanced, the club serves as a heavy hitting but slower weapon that is capable of easily countering enemy attacks and dealing massive damage, the naginata serves as a bit of a slower but more damaging polearm, and the rifle is a more complex variant of the bow and arrow system. In fact, of the new weapons, the rifle gives players the most interesting and unique role on the battlefield as the weapon can be armed with six different bullet types including explosive, piercing, and even buffing types allowing the character to play multiple roles on the battlefield while also sniping at enemy weakpoints from a safer distance. If you happen to be playing offline or in the single player modes, players now also have the ability to command their NPC allies in combat by telling them to either attack, defend, aid one another, or have free reign. Ally AI was already very helpful in the past title and in Toukiden: Kiwami they have been improved to the point that players can generally rely on them to perform on their own but this does help with certain bosses. It also is worth noting that a new team attack can be performed whenever the “Unity Gauge” is filled up. These team Slayer attacks can deal massive damage capable of slicing off numerous limbs from an enemy Oni in a single strike. The player’s Tenko can continue to be sent out to gather items while the player is on a mission but this time not only can players give the Tenko various items and equipment to improve the items they find, but if you happen to be exploring the same map that the Tenko has been sent to, there is a very good chance that you’ll meet up with it on the battlefield. If you are traveling with your Tenko then it will support the player by trying to purify Oni limbs and reviving any fallen Slayers. While playing single player is fun on its own, the real enjoyment comes from playing with three others in a team of four. 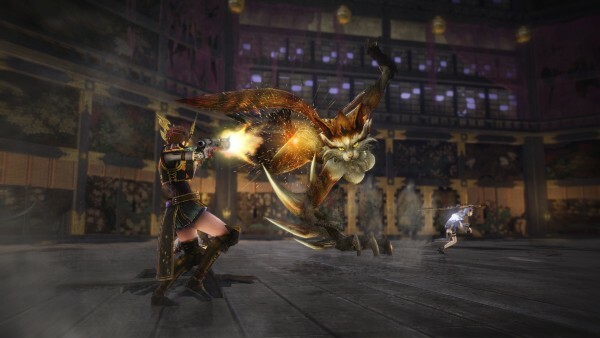 Toukiden: Kiwami excels in the multiplayer side of things. Not only are the PlayStation 4 and PlayStation Vita versions able to cross-play with one another but the whole experience is as seamless feeling as possible. 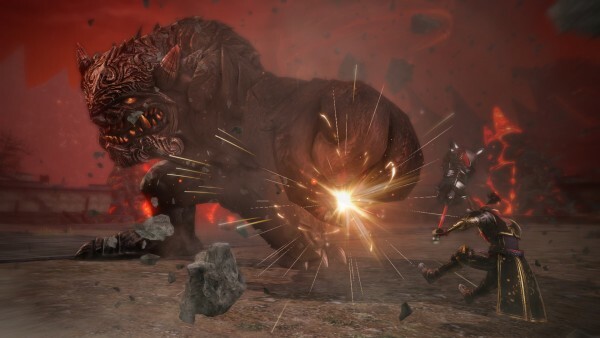 Now it is worth noting that while the new weaponry, new foes to face off against, and slew of new content does add a lot of extra value to the package, the main flaws in the first game carry over into Toukiden: Kiwami. This means that while players have more options than ever to customize their fighter and take on challenges, the core gameplay is still very repetitive. Thanks to item drops and the crafting system players will constantly need to be grinding through specific areas in order to obtain items required to create a certain piece of equipment and, although the new weaponry does add variation, the standard combos remain fairly limited and repetitive throughout the course of the game. Now it is worth noting that Toukiden was first released on the PlayStation Vita and it does show in some areas despite being upgraded to the PlayStation 4. The environment textures are rough looking at times but I must say that the character models have benefited greatly from this upgrade. The character designs of returning and new characters in Toukiden: Kiwami are memorable and nicely detailed while the creatures are as stunning looking as ever but it is worth noting that the game does suffer from slowdown at times and relatively long loading times. The voice work remains Japanese only which is fitting thanks to the setting of the game as well as to the fact that the voice actors have done a fitting job with the cast. The soundtrack is also a real highlight as it mixes up plenty of heated rock tracks as well as plenty of songs featuring traditional Japanese instruments to fit the setting. The upgrade to Toukiden: Kiwami adds a lot of new content to an already meaty experience in the form of new weapons, new allies, new Oni to take down, and a lot of extra story content. However this upgrade does very little to change repetitive nature of the game nor does it make a smooth transition to the PlayStation 4. That being said, Toukiden: Kiwami is certainly an exciting title featuring fast paced group combat that is absolutely amazing when playing with others and is still a great experience even for those who want to hunt down the Oni alongside the intelligent ally AI.